To create a document category from the preference settings window, follow these instructions. 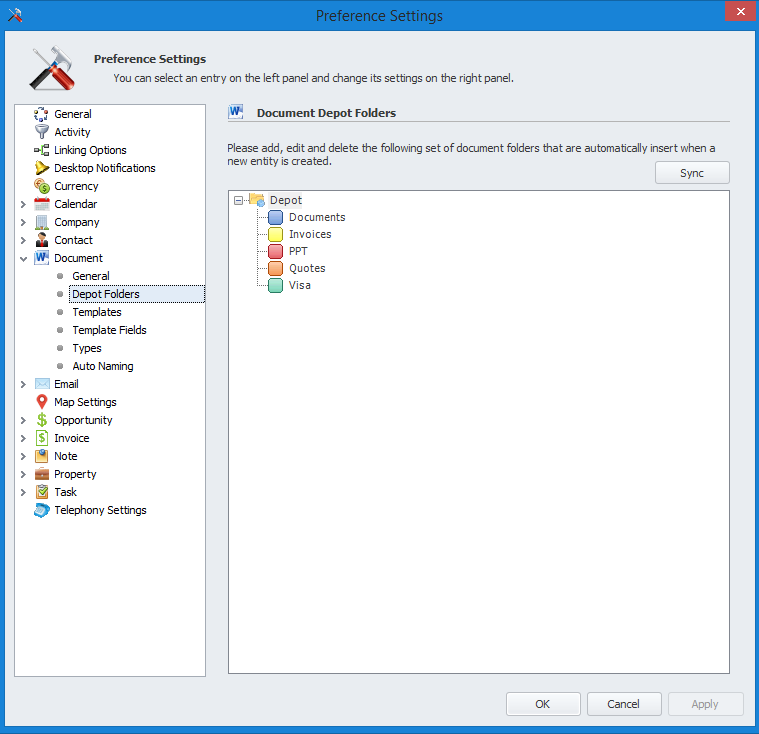 Select 'Documents' and then 'Depot Folders' from the left hand menu. 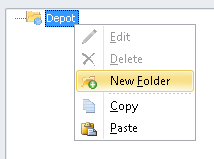 Right click 'Depot' and click 'New Folder'. Enter a name for the new document category and select a colour icon that will be associated to the new category. Click 'OK' to add the new category. Now when you create a new 'Contact, Company or Project' these entities will inherit this folder structure. If you already have entities 'Contact, Company or Project' created with no folder structure or an old folder structure click the 'Sync' button on the top right hand side.